Marketing automation software serves as a strong solution for B2B and B2C entrepreneurs concentrating on converting prospects. Technological options today integrate common systems with the goal to enhance customer relationships and management. Marketing automation also helps to discover, nurture, and manage both marketing-qualified leads and sales-qualified leads. One example of how marketing automation works is through lead nurturing. Integration of a personalized lead scoring algorithm helps predict a user's intention. The ability to analyze these user scores allows both marketing and sales groups to collaborate on a prospect or desired customer. Results-oriented marketing is possible when marketing automation tools are used to increase conversion rates. With a flexible and versatile automation application, you can coordinate numerous customer relationships, management frameworks, and strategic operations for your enterprise. Marketing automation is a buyer-driven solution that will work wonders for your company. That being said, tools aside, your marketing automation strategy needs to be designed with success in mind. Before you start to design your marketing automation strategy, it is essential to set realistic goals. We like to follow the S.M.A.R.T. framework, meaning goals should be specific, measurable, attainable, relevant, and timely. Understand what key performance indicators (KPIs) are pertinent to your needs and find a way to measure this effect. In doing so, also select an expected and realistic outcome for growth. Once you know where you are headed, define the tools and the timeline needed to get there. It's that easy. This a realistic goal, and is very specific to an easily-implemented strategy. If you have a good idea of your buyer persona, then this next step should be easy. However, if you have not conducted formal market research, audience analysis, or persona defining, thinking about your personas in this sense can be important for many of your marketing goals. Most marketing automation platforms allow for the ability to observe and track user activity and to capture data about the user when they submit information to you. These two targeting methods, self-reported interest and user observations, allow for another dimension to target these users. For example, let's say one of your user personas is a businesswoman (we'll call her "Management Margaret") with little time for personal interests, seeking to improve her leadership skills. Targeting women in a professional setting, who are management and higher, is a perfect component to target this type of user. Learning how to define user personas in a technical setting gives you the ability to segment and categorize your users for website personalization, remarketing, and even email marketing. Optimizing your customer relationship management database is vital in this step. If defining user personas does not seem valuable to you, creating dynamic lists with conditions for entry can still help you in many avenues when choosing marketing automation solutions. Your sales and marketing team can significantly benefit from automated lists like "contacts who are women," "contacts who visit the contact us form but did not submit," or even "contacts with April birthdays" types of lists. Additionally, creating files of people who interacted with past digital advertising or viewing a particular web page on your website serves as the foundation for any remarketing campaign. You will need to curate, re-purpose, or create new assets next. Identify blog posts, drip campaigns, landing pages, and other communication touch points that could enhance your customer service when combined together. The idea here is to take many different forms of communication that exist both on-site and off-site and to stream them to the desired user in a way that moved them through the customer journey efficiently and effectively. Marketing automation software will be needed to control this customer journey, but the strategy is what fundamentally influences the user. These opportunities will often drive users from awareness to decision in a desired way. Opportunities can be organized into pre-conversion, effective decision-making, and post-conversion opportunities. While each medium can reach a buyer at any stage of this cycle, having enough pieces or touch points can ensure balance in a marketing automation workflow. Attraction tools often serve as an entry point for a marketing automation campaign, while tools in engage and delight are implemented during the marketing automation workflow. For example, if we have email marketing, landing pages, and social media advertising opportunities available, we may want paid Instagram ads to entice users, so not only would that be a pre-conversion opportunity, but also a barrier to entering this workflow, too. The landing page could be the active decision-making component, which persuades the user to convert by completing a form. After the form is submitted, the user may be entered into a follow-up email drop campaign, which is a tremendous post-conversion opportunity. Creating and organizing these assets this way is critical when designing the workflow. If you were designing an email marketing campaign, a good entry point would be a gated content download, while a series of on-boarding emails would move the customer from awareness to engagement by nurturing the contact with more information. An email campaign-specific landing page can then convert the user to a lead or inquiry, whereas a second email campaign would follow up and cross-sell to the user after the edge is followed through. This second email campaign could include dynamic content gathered from the form submissions and data obtained through the lead acquisition process. What would qualify the user to move throughout the workflow could be specific triggers, such as an email open or link click within an email. In this situation, monitoring the open rate would help identify if this would be significant enough to push someone through pre-conversion, to active-decision making, and then onto post-conversion opportunities of your workflow. At this point, map out the decision making trees to visualize and construct the pathways in the workflow. Remember, users who enter the workflow will have multiple paths that they can follow, depending on what and how you set up the software. Make sure users have a clear entry point and exit point. It is just as necessary to qualify people for the workflow but also disqualify those who enter the workflow which is not responding to the offers, content or remarketing. You should also make your workflow easily accessible, and it should provide value, rather than a distraction, to the user journey. Your workflow should also incorporate many off-site and on-site elements, to give your brand an omnichannel presence. Keeping the flow as cyclical as possible, to grow and nurture leads, is also a useful tip. Depending on your website build and third-party software used in sales and marketing, housing your marketing automation efforts in one system may or may not be possible. Tools like HubSpot and Pardot make marketing automation easy, but these tools also exist in the Sitecore, Kentico, and even WordPress dimensions for CMS control over these tools. 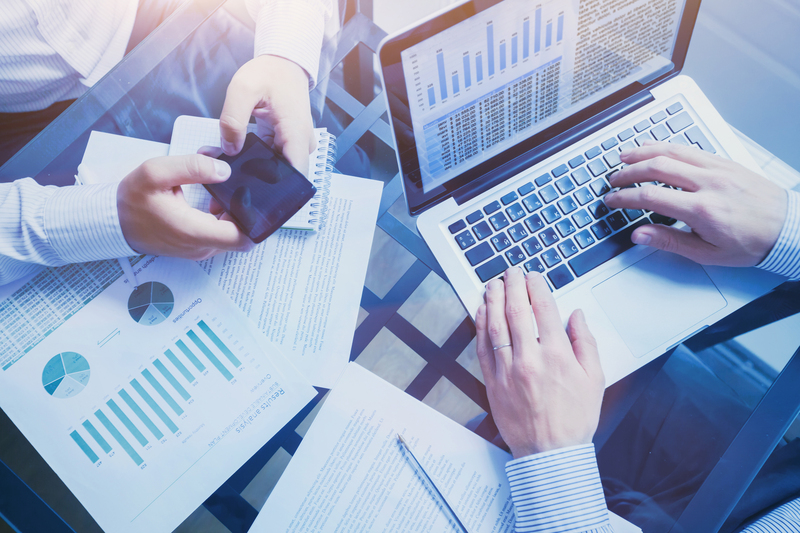 Your CRM tool may also be housed off-site or on-site, so depending on that tool and its integrations, you can determine which software you should use. Knowing your technological inventory (and budget) will come in handy when you sketch out the workflow. To do so, you will have to keep in mind your integrations and what is or isn’t possible. 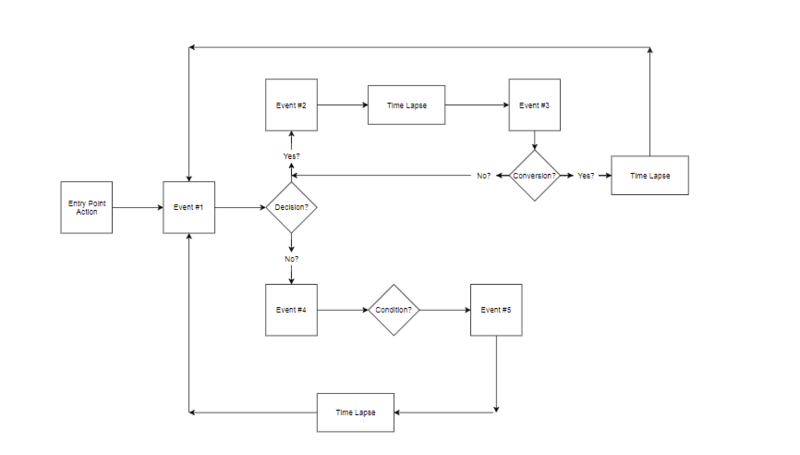 To design the flow, >you can use a simple tool called Lucidchart, for Google Chrome. Aside from being saved, stored, and easily accessible from Google Drive, Lucidchart has a lot of flowchart objects to use at your disposal. Designing your workflow and sketching it outside of your marketing automation software is sometimes necessary because the tools we use may not all be visible in one place. Lucidchart helps create a clean rendering of your plan. Based on your chosen marketing automation platform(s), you will need to set up the designed workflow in the software. This may be utterly doable within the CMS or your third-party vendor, or you may have to set up the necessary integrations or scheduled data imports/exports. Not all communication channels may be available in your marketing automation platform, so there needs to be some sort of technology integration or coordination between systems if one platform lacks a specific feature. For example, many marketing automation platforms do not integrate well with Google Ads. Thus, remarketing campaigns executed in a workflow may need a technical bridge or commonplace to export/import data to, to create the omnichannel marketing automation experience. If your SEO game is good, you might win the battle for traffic, but you'll lose the war if the website isn't optimized for conversions. Conversions occur when visitors who are coming to your site perform a predefined action. The conversion rate is then the percentage of visitors who complete the desired action or goal, which are also central to your marketing automation efforts. Conversion rate optimization is defined as the act of improving the rate of visitors who convert through your marketing efforts and will assist you in obtaining increased ROI. Increasing the rate of conversions signals that your company has more clients. Fine-tuning, tweaking, and optimizing efficiency in your workflows is a crucial component to conversion rate optimization. Actively observing, analyzing, and modifying the workflow to improve the user journey flow, leads generated, and speed of the workflow can significantly enhance and optimize your conversion rate. Furthermore, these statistics will also help you determine the overall value of your marketing automation platform, campaign, and efforts. And there you have it, 6 steps to conceptualizing and designing a sound marketing automation strategy. You can now create, execute, and optimize a campaign utilizing the omnichannel experience described. Additionally, this strategy allows you to focus on the users you want to and enhance their customer journey, all while increasing your conversion rate.